I’ve heard the adage about the substance probably more often than I’ve tasted it. I’ve never used the phrase, or typed it … until now. The expression, however, does make logical sense. Molasses is slow. I’ve made my share of gingerbread, and using molasses is a bit of a battle. The amount of waste is astounding. You have to make sure you allocate more than what the recipe calls for because it will cling to the measuring apparatus and mixing utensils creating an epic cleanup. In appearance, molasses seems predictable. I mean, you know molasses. Right? But how slow would 10 gallons of molasses be? Or 100? 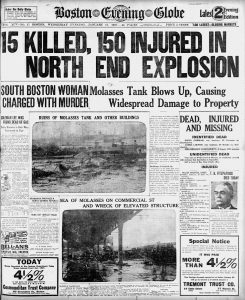 Today marks the centennial of the Great Molasses Flood of Boston – when a tank housing 2.3 million gallons of molasses burst open on one of the busiest commercial wharves in the city. No seer nor sage predicted the destructive deluge that compromised brick buildings and steel train tracks, drowned horses, and eventually claimed the lives of 21 people. Two of the victims were 10-year-old children, a boy and a girl who were regulars at the base of the tank collecting leaked molasses. When I began looking for information on the molasses disaster, and before I read Stephen Puleo’s Dark Tide, I came across a few websites memorializing the flood victims. The charts showed the victims’ names, ages, occupations, and, in some cases, their places of origin. Out of the 21 dead, eighteen were men, mostly Irish laborers. Two of the victims were 10-year-old children, a boy and a girl who were regulars at the base of the tank collecting leaked molasses. Another victim was a woman in her sixties who is described as being elderly. She was the mother of Martin Clougherty, owner of a nearby bar called The Pen and Pencil. They lived in a house on Copps Hill Terrace, directly across from the tank. The occupants inside had no early warning before the molasses tide enveloped their house, completely demolishing it from top to bottom. I ascended the steps of Copps Hill Terrace nearly every day for the five years I lived on Charter Street in the North End, unaware of what had befallen others who ascended the same steps decades before me. To comprehend that the Cloughertys’ timber home was demolished in the flood is less difficult than the truth that Martin, who was sleeping in on the morning of the flood after closing his bar at 4 a.m., was propelled out in the sea of molasses after it swallowed his home. As he struggled to stay afloat, Martin grabbed onto a raft that drifted by him. The makeshift lifeboat turned out to be his bed frame. He survived. Death by molasses. It is painfully difficult to picture this, although it actually happened. In 2019, we have many different sugars to use in our baking and in morning libations, from stevia to coconut sugar – with various forms of non-GMO and organic varietals. Molasses is simply not as much a part of our culture as it once was. And its scarcity in our day adds to the quandary in picturing a sea of it, barreling down Commercial Street in the North End carrying debris, carriages, houses, and humans in its rogue rage. Molasses tank disasters were not uncommon. Nearly three years to the day before the 1919 flood, and only two weeks after the North End tank was constructed, 1,200 gallons broke free from a wagon tank in the West End section of Boston, flooding Leverett and Charles Streets. In 1921, a molasses tank burst at a mill in Oakland, California. The cities of Albany, Hoboken, and New Orleans housed tanks that burst prior to and following the Boston disaster. 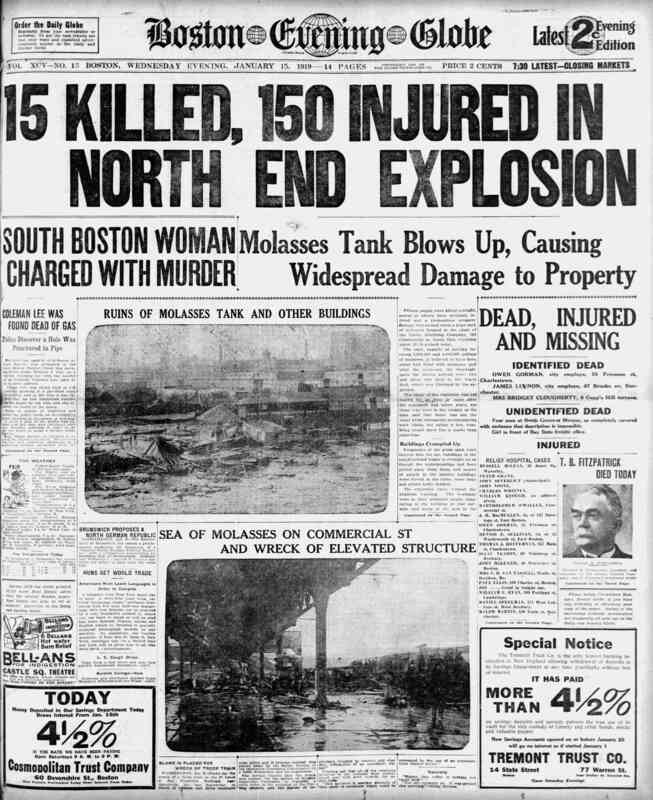 On Christmas Eve in 1911, more than one million gallons of molasses owned by the Boston Molasses Company was destroyed in a fire in South Boston, the cause of which was slow, if ever, to be determined. Yet never had the quantity released in the 1919 spill been seen before. In the early days of 1919, the North End’s waterfront-dependent commerce flowed steadily from dawn to dusk. The noise of bellowing laughter and shouting from longshoremen and city workers in the pavers’ yard next-door to the tank occupied the extra space left by the incessant clanging locomotives and steam whistles, and the screeching elevated passenger train that threaded the city from North to South Station every 7 minutes. For one hour, from noon to 1 p.m., workers took their well-deserved breaks. School children went home for lunch. The firemen in the house next to the tank played cards and games of pool. The construction of the North End molasses tank was a long-term project of the principal owners of the United States Industrial Alcohol company (USIA). Earnings for the company and other industrial alcohol suppliers were off the charts in 1914. The outbreak of war in Europe that year had munitions manufacturers in need of a steady supply of industrial alcohol to make smokeless powder and other military-grade materials for which there were hungry Canadian, French, and English buyers. DuPont claimed 57 million dollars in net earnings in 1915. Many in the industrial alcohol business were reliant upon a quantity of molasses to distill its sugar into alcohol to sell to the chemical companies. Steadfast focus during wartime meant massive profits. Cutting out the middle man while stationing their own tank on the North End waterfront curbed profit loss and offered ease of transfer from the tank to the distilling plant in nearby East Cambridge. Before the North End tank was erected, USIA and its subsidiary Purity Distilling Company purchased surplus molasses from a third party whose tank was located in South Boston. Cutting out the middle man while stationing their own tank on the North End waterfront curbed profit loss and offered ease of transfer from the tank to the distilling plant in nearby East Cambridge. The tank project was thrust onto the shoulders of Arthur Jell, promised a grand promotion if he could pull it off by the end of 1915. Upon completion by December 31st, Jell would be able to meet the steamer scheduled to arrive from Cuba on New Year’s Eve and thus could capitalize on the receipt of 700,000 gallons of molasses. First, though, he had to convince Boston Elevated Railway to lease a parcel of land comprising seventeen thousand square feet on the cheap. Since Boston Elevated was in no hurry to do it, the project stalled. Jell commissioned Hammond Ironworks, specialists of steel railway tanks, to draw the blueprints and build the beast. Jell was not an engineer and unable to influence Hammond to expedite their process. He hurried through negotiations and neglected architectural concerns. Though he made the 31 December deadline, because of construction delays owing to two massive storms that whipped through Massachusetts just before and after Christmas the tank was assembled in haste, its safety tests fudged. The tank was an eyesore; a menacing metal monster of 90 feet, its receptacle comprising over half that height. From the very beginning of its short life, the tank leaked. His first day on the job, the USIA employee in charge of representing the operations on the tank side of the transfer from the Cuban steamers noticed molasses bleeding through the joints between the layers of metal outside the tank. He alerted his bosses immediately, including Jell, who dismissed his panic. Puddles formed at the base of the tank stand and children of the nearby Italian immigrant families on Charter Street spent many noon hours each week collecting the residue that oozed from the tank to bring home. The tank made long, thunderous groans that accentuated the ruckus of wharf business and haunted locals. As the employee continued to warn his managers of the leaks, they were either brushed off or responded to with band aid repairs. USIA had hired a laborer to regularly caulk the joints and adjust the rivets. It was not until nearby residents began to complain about the leaks that a solution arose. In July 1918, in a poor attempt to conceal the leaks, the steel-finished tank was painted brown. 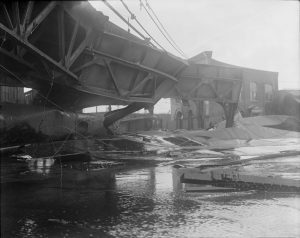 The day of the Boston spill was Wednesday, 15 January 1919. Just two days prior, the Miliero, a steamer carrying 600,000 gallons of molasses, arrived at Commercial Wharf from Cuba. It took almost 24 hours to pump the sugar from the boat through the 220 foot long pipe up to the reservoir. The captain of the Miliero testified that he was well in open water after the transfer and could still hear the unsettling wailing of the contents inside the tank. At 12:45 p.m., as most of the neighborhood was on a lunch break (including the tank superintendent and the local school children who collected molasses), the tank let go. Like buttons on a sweater, the rivets popped from the metal sheets on the tank and flew through the air like projectiles, embedding themselves in buildings and bouncing from brick walls as the dark surge flowed out. It has been reported that the tidal wave was 25 feet high and 160 feet wide at the outset. It is believed that the swell traveled at 35 miles per hour. The molasses engulfed pedestrians and delivery drivers. It smothered wharf workers stationed below street level. The foundation of the fire station buckled and trapped several men in the basement, two of whom were pinned beneath the radiator. Puleo paints a picture of a brotherhood encouraging one another to hang on for help while pinned nearly facedown in the swells in unspeakable pain. Electrical wires came loose from their poles and smoldered in the tide. The elevated train truss twisted from the impact of a one-ton piece of tank metal and sagged straight to the ground. Molasses waves broke windows fifteen feet above the street. The sound of gunfire rang out in the neighborhood as police shot horses that stood no chance of breaking free. It was like a true tsunami. Molasses waves broke windows fifteen feet above the street. More than forty victims were taken to the nearby Haymarket Relief, a satellite station for Boston City Hospital with only 25 beds. Medical personnel removed molasses that blocked breathing passages and wound up being covered in molasses themselves. While gauging the number of deceased was difficult in the immediate aftermath, it was enormously problematic to identify the dead who were covered in the viscous syrup. As night fell and the temperature dropped, the molasses began to harden, making rescue efforts and basic mobility all the more cumbersome. Later in the day, the evening edition of the Boston Globe reported: “15 Killed, 150 Injured in North End Explosion.” The number of dead fluctuated with each account of the casualties. In Fitchburg, the day after the explosion, eleven confirmed deaths were announced. In the following days, more bodies were discovered and held at the North Grove Street Morgue, unidentified for a period. Several men who were taken to the Haymarket Relief Station for treatment of injuries died a few days later, all speaking of immense pain and accepting their impending demise. By the 26th there were eighteen confirmed deaths as a result of the tank rupture. Nearly four months later, the final direct victim of the flood was fished from Boston Harbor. Thirty-two-year-old Cesare Nicolo was discovered under a wharf near the Commercial Street freight station. Stephen Clougherty, Martin Cloughtery’s brother, was found to be the final (indirect) victim of the flood during the trial to follow. Stephen’s mental illness was magnified by the trauma of the molasses disaster that destroyed his home. He died 11 December 1919 at the Boston State Hospital for the Insane in Mattapan. The cause of the tank disaster was disputed by many. Those on the side of the USIA and Purity Distilling interests claimed the tank exploded as a result of a planted anarchist bomb despite the fact that Jell, from the very first day it was hoisted, stationed a round-the-clock police officer to patrol the tank and surroundings to avoid such emergencies. A substantial paper trail, with numerous accounts of vibration coming from the tank and documented leaks from its earliest use, was suggestive. Some argued the molasses fermented inside the tank causing a buildup of gases. With a tank nearly filled to the brim with molasses, the gases had nowhere to go. Cases brought by plaintiffs resulted in a consolidated action with trustee Dudley H. Dorr at the helm of what Puleo claims as the largest civil suit in Massachusetts history. Many of the victims were the primary bread winners in their families and those who remained, many wives and mothers of several children, were destitute. Hearings for the case of Dorr vs. United States Industrial Alcohol began in August 1920. The testimonies of nearly one thousand witnesses, victims, and scientists – and more than 1,500 exhibits – may be found in 25,000-page transcript of the hearings. The defense arguments leaned heavily on the theory of a planted bomb, though there were no witnesses and zero material evidence. It wasn’t until April of 1925 that auditor Hugh W. Ogden ruled United States Industrial Alcohol liable for the disaster. Initial damages awarded were close to $700,000, what would today be nearly $8 million. The story of the flood, 100 years old now, is essential to the social and political history of Boston. The tank was built in a neighborhood of Italian immigrants, the boogeymen of the early 20th century (and my ancestors). Italians were viewed as illiterate, job stealers. A well-known Massachusetts state senator claimed Italians to be lazy and destitute, while Woodrow Wilson documented his distaste for the ethnic group in ink when he wrote that southern Italians were “the lowest class of Italy.” Boston police issued warnings of an inflated statistic that most of the anarchists in the United States, at the turn of the 20th century, were residents of the North End of Boston. The lack of political influence in the North End and the disenfranchising of its people were essential ingredients in the recipe (and the disaster) that followed. 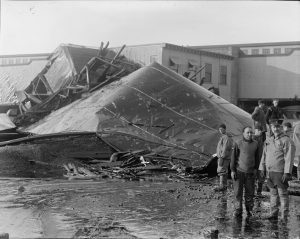 Evan Andrews, “The Great Molasses Flood of 1919,” 13 January 2017, at History.com; https://www.history.com/news/the-great-molasses-flood-of-1919 (accessed 4 January 2019). Stephen Puleo, Dark Tide: The Great Boston Molasses Flood of 1919 (Boston: Beacon Press, 2003). Wikipedia contributors, “Great Molasses Flood,” 31 December 2018, at Wikipedia.com; https://en.wikipedia.org/wiki/Great_Molasses_Flood (accessed 4 January 2019). Puleo, Dark Tide: The Great Boston Molasses Flood of 1919, 31. “Fast Molasses,” Muncie Evening Press, 14 January 1916, at Newspapers.com; https://www.newspapers.com/image/249186774/?terms=molasses%2Bboston (accessed 4 January 2019). “Molasses Pipe Bursts, Acre of Land Irrigated,” Oakland Tribune, 16 November 1921, at Newspapers.com; https://www.newspapers.com/image/82440400/?terms=molasses%2Boakland%2Bburst (accessed 4 January 2019). “50 Foot Molasses Tank Bursts Killing One,” Corpus Christi Times, 21 December 1968, at Newspaperarchive.com; https://newspaperarchive.com/corpus-christi-times-dec-21-1968-p-12/ (accessed 4 January 2019). “Nearly Drowned in Molasses Tank,” The Star Press, 7 September 1905, at Newspapers.com; https://www.newspapers.com/image/249677021/?terms=molasses%2Btank%2Balabama (accessed 4 January 2019). “A River of Molasses,” The Evening Sun, 12 December 1911, at Newspapers.com; https://www.newspapers.com/image/365444168/?terms=molasses%2Bbaltimore%2Bburst (accessed: 4 January 2019). “Destructive Fire Hard to Fight,” The Boston Globe, 25 December 1911, at Newspapers.com; https://www.newspapers.com/image/431147506/?terms=boston%2Bmolasses%2Bcompany%2Bfire (accessed 4 January 2019). Puleo, Dark Tide: The Great Boston Molasses Flood of 1919, 25. Andrews, “The Great Molasses Flood of 1919,” 13 January 2017, at History.com [see Note 1]. Elmer A. Mann, “Did Prohibition Hit Distillers?,” Financial World, 15 August 1921, at Google Books (accessed 4 January 2019). 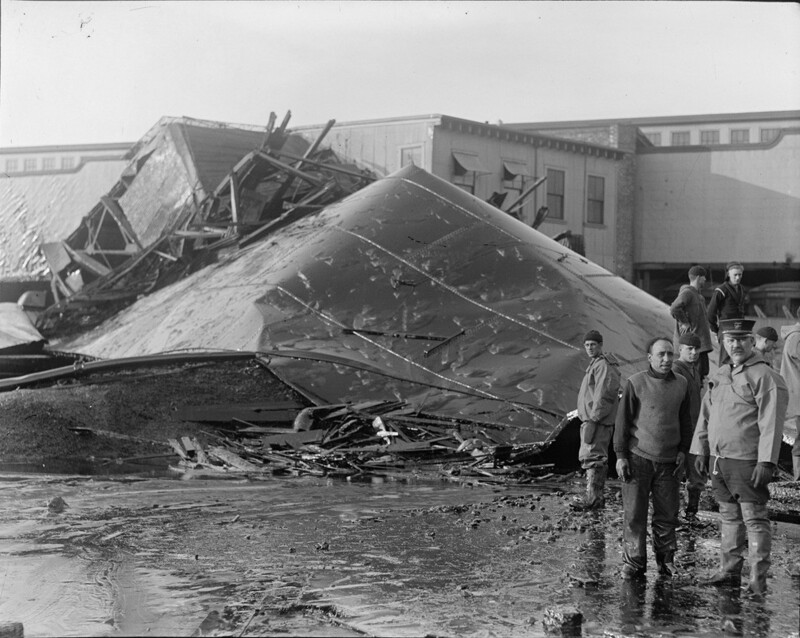 Puleo, Dark Tide: The Great Boston Molasses Flood of 1919, 11. “Federal Reserve Bank of Chicago,” The Economist 55 [4 March 1916]: 457. Charles Bahne, Chronicles of Old Boston: Exploring New England’s Historic Capital (New York: Museyon, 2012), 165, at Google Books (accessed 4 January 2019). Puleo, Dark Tide: The Great Boston Molasses Flood of 1919, 18. William Rick Crandall, John A. Parnell, and John E. Spillan, Crisis Management: Leading in the New Strategy Landscape (London: Sage Publications, 2014), 307, at Google Books (accessed 4 January 2019). Glenn Dixon, “Massachusetts Heavy Syrup Blues,” Washington City Paper, 19 December 2003; https://www.washingtoncitypaper.com (accessed 8 January 2019). Barbara Stepko, “Sickeningly sweet: The Great Molasses Flood of 1919, moving at 35 mph, toppled buildings, trapped people in Boston’s North End,” The Vintage News, 18 May 2018; https://www.thevintagenews.com (accessed 8 January 2019). Ballard C. Campbell, Disasters, Accidents and Crises in American History: A Reference Guide to the Nation’s Most Catastrophic Events (New York: Facts on File, 2008), at Google Books (accessed 8 January 2019). Puleo, Dark Tide: The Great Boston Molasses Flood of 1919, 98. “Shaughnessey’s Body in Water Off Wharf,” The Boston Globe, 26 January 1919, 14; https://www.newspapers.com/image/430835091/?terms=molasses (accessed 8 January 2018). Puleo, Dark Tide: The Great Boston Molasses Flood of 1919, 159. Lauren Tarshis, I Survived True Stories: Five Epic Disasters (New York: Scholastic, Inc., 2014), 77, at Google Books (accessed 8 January 2019). “Molasses Shift to City Hall from Courthouse,” The Boston Globe, 7 October 1920; https://www.newspapers.com/image/430803355/?terms=molasses%2Bhearing (accessed 8 January 2019). Puleo, Dark Tide: The Great Boston Molasses Flood of 1919, 34. United States Congress, Congressional Record: Proceedings and Debates of the Sixty-third Congress (Washington, D.C.: G.P.O., 1914), 2779, at Google Books (accessed 8 January 2019). Puleo, Dark Tide: The Great Boston Molasses Flood of 1919, 19. There was story in our anthologies that I loved to reading with my third graders titled, “The Great Molasses Explosion.” I would pull newspaper accounts from our local newspaper to add “flavor “to the story! the class loved it!. Thank you for posting this! Circumferential stress or hoop stress, a normal stress in the tangential (azimuth) direction; Axial stress, a normal stress parallel to the axis of cylindrical symmetry; Radial stress, a stress in directions coplanar with but perpendicular to the symmetry axis. What a wonderfully educational post! My husband has always been fascinated by this incident, and I was able to tell him this morning that we were just a couple of blocks away from the site when we visited Boston this past September. Ironically, I was just thinking last night of my eighteenth-century Charlestown ancestors who owned a distillery, and the molasses that would have been imported from the Caribbean to make it. A note re: cooking with molasses (or any thick syrup). If the recipe calls for oil, measure that first, then use the same cup to measure the molasses. It will slide out easily! Should the recipe not call for oil, grease the measuring cup with pan spray or solid shortening. This event does bring back memories. My dissertation focused on Boston in the 1830’s and 1840’s. And, lo and behold, a massive (for that time) tank also burst. No one was killed, but the newspapers did have a field day. A molasses flood in the 19th century, a molasses flood in the 20th century. I think I see a pattern developing! In filing this story for information I realized that in 1919 my mother, living in Boston, would have been three. I never asked her or her older siblings what memories they had; tsk, tsk. I am about to email my oldest first cousin to see if she ever asked her mother. Thank you for shedding light on this tragic piece of our history. Having come from a line of Italian immigrants who settled in the North End, and having been born there myself, I’ve long been fascinated by this story, but never knew much about it. 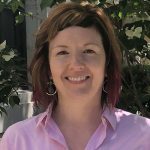 Your story paints such a vivid picture and I am grateful for this incredibly thoughtful and well-written piece.